The video itself was knocked offline and its cover image was replaced by an image of several people in masks and orange boiler suits wielding guns, taken from the Spanish TV show Money Heist. Other artists affected include Taylor Swift, Shakira, Drake and Selena Gomez. These videos were unchanged, but their titles were edited to contain the names 'Prosox' and 'Kuroi'sh', and the word 'hacked'. Their cover images were also swapped. YouTube itself was not hacked, and Vevo has confirmed that it has contained the security breach. 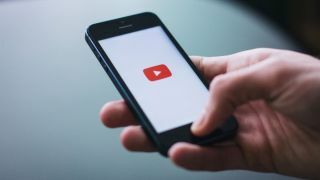 A spokesperson for YouTube issued the following statement: "After seeing unusual upload activity on a handful of Vevo channels, we worked quickly with our partner to disable access while they investigate the issue." A Twitter account that seems to belong to one of the hackers claims the pair used a script to change the titles, adding "Don't judge me I love YouTube". Although it wasn't at fault, YouTube is unlikely to reciprocate that love. It's been busy improving relationships with record labels and establishing new partnerships (such as a recent deal with music info site Genius) to bolster its relationships with music labels and artists.